Inviting home centrally located on the Moon Valley Country Club golf course 3 hole. Well maintained 4 bedroom, plus office w/own entry, 2 bathrooms, 2,922 square feet. Ideal for entertaining. House surrounds a paved courtyard in the back with large windows that flood with sunshine and views of the mountains and golf course. Great room has gas fireplace, settee w/storage. Room measures 23′ x 27′ w/ Hunter Douglas shades, plantation shutters and fans throughout. Screened doorways to enjoy a lovely breeze thru the house. Gourmet kitchen w/stainless steel appliances, wine cooler, reverse osmosis, tons of storage, granite counter tops, under counter lighting. Inside laundry room w/utility sink, w&d, Master bedroom w/en suite and private entry to courtyard. Owner is active licensed Az Broker. Directions: North on Canterbury, west on Southern Hills, North to west Tam O’Shanter, house on the east side of the street. Approximate size: 13033.00 sq. ft. Please, send me more information on this property: MLS# 5859367 – $599,000 – 511 W Tam Oshanter Drive, Phoenix, AZ 85023. 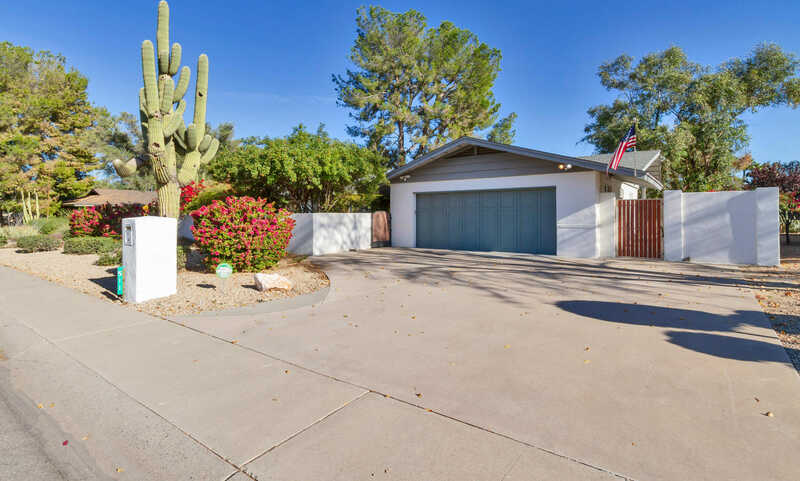 I would like to schedule a private showing for this property: MLS# 5859367 – $599,000 – 511 W Tam Oshanter Drive, Phoenix, AZ 85023.